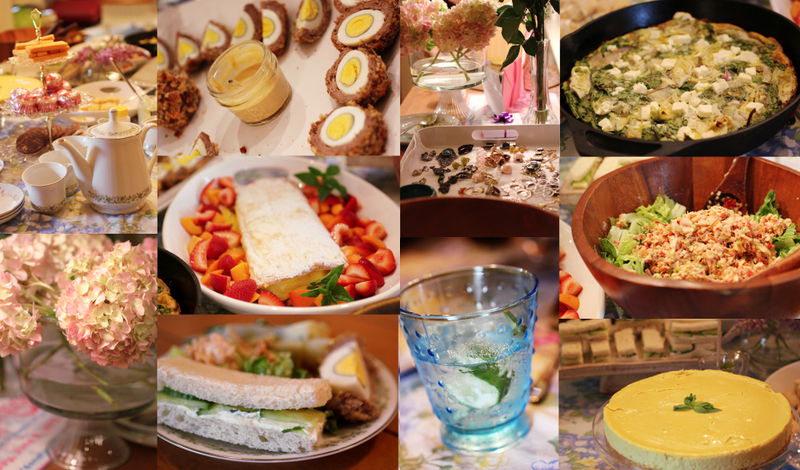 On Sunday we threw a little tea party in honor of our friend Christy’s birthday. The amazing weather and the vivid greenness had just been making me want to celebrate everything. During the course of the party we had sunshine, then pouring rain, sunshine, and finally a lavender sunset. We sipped black tea (with cream and sugar) and G & T as we munched on some classic tea fares such as Scotch eggs, cucumber sandwiches, and scones. A tea party without scones should be a sin. Anyway, I’ve been looking for the best scone recipe for awhile now and I think I finally found it (from America’s Test Kitchen)! 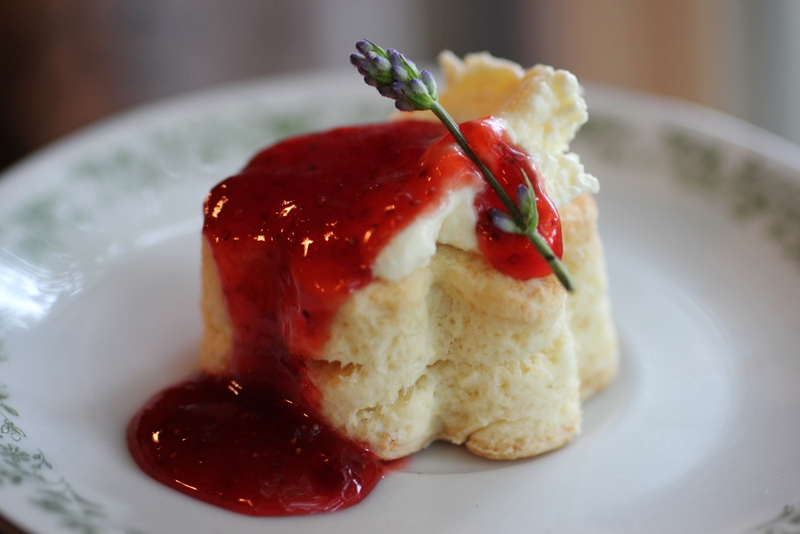 We served it with a choice of clotted cream, lemon curd, and a jar of my rhubarb, strawberry, and basil jam. 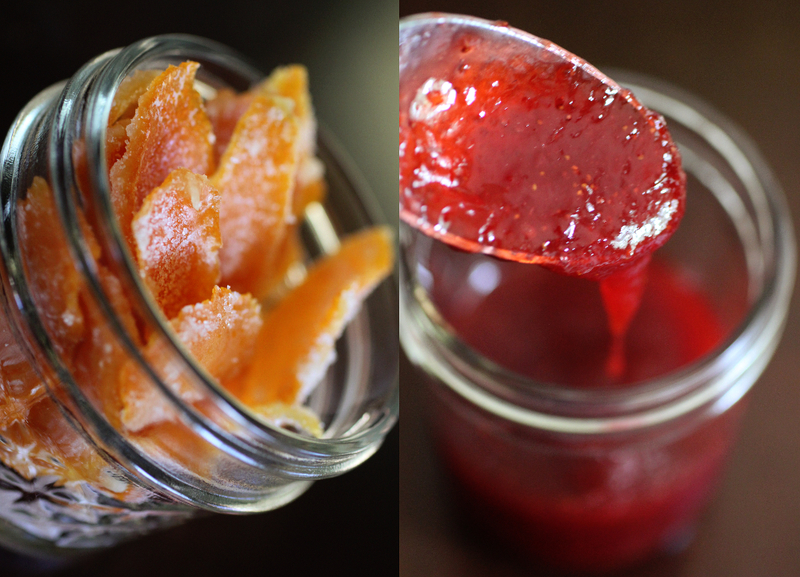 I added just one tablespoon of chopped candied orange peel that I made over the winter. Mix the dry ingredients into a bowl. Add the butter and work it into the dough with your fingers until it looks like a course meal with some bigger lumps of butter. Pour in the heavy cream and carefully mix until it just comes together. Take out the dough from the bowl and form into a ball (this should only take about half a minute or less). Flatten to 1/2 inch then use a cutter of your choice. I went with a flower shape. Bake for about 12 minutes or until slightly golden brown.